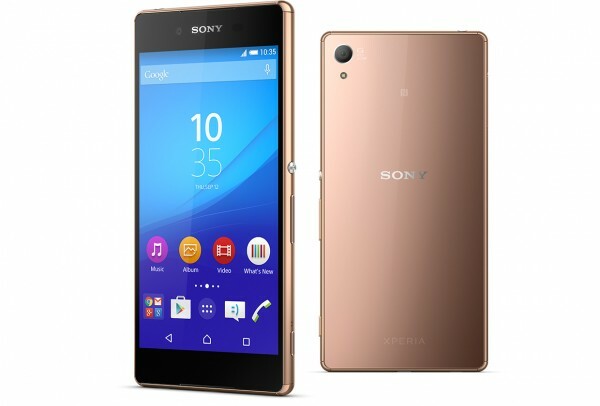 The Sony Xperia Z3+ (also known as the Sony Xperia Z4) has been recently released in the US after much delay. The Sony Xperia Z3+ has been priced at $500 and is currently available at a reasonable $450. 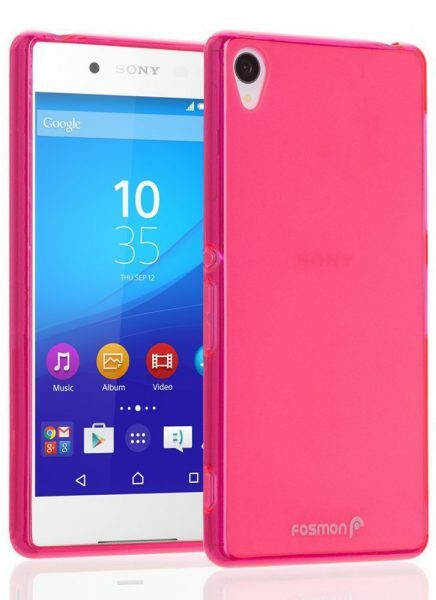 Listed below are the top 8 best Sony Xperia Z3+ cases and covers. 1. StilGut Sony Xperia Z3+ Book Type Case Cover: The StilGut Sony Xperia Z3+ Book Type Case Cover is a very luxurious smartphone case handcrafted from genuine leather. 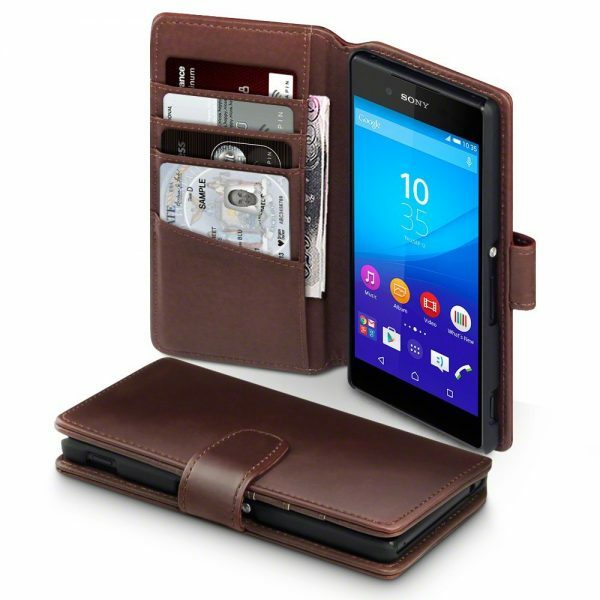 The StilGut Sony Xperia Z3+ Book Type Case Cover is available with and without a clip. 2. 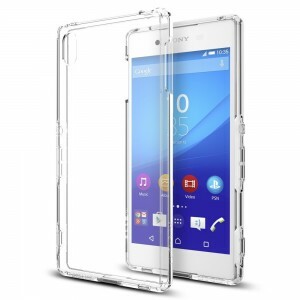 Spigen Sony Xperia Z3+ Crystal Clear Case: The Spigen Sony Xperia Z3+ Crystal Clear Case features a clear back to show off the premium Xperia Z3+. The Spigen Sony Xperia Z3+ Crystal Clear Case also uses air cushion technology to protect the device from drops and shocks. 3. 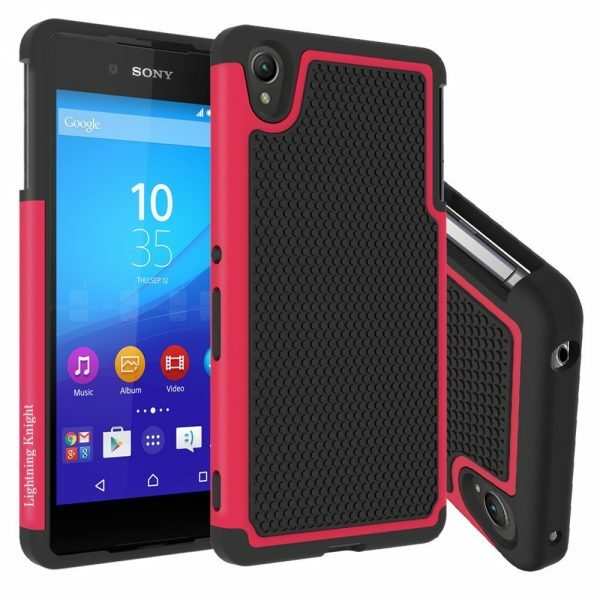 Cruzerlite Sony Xperia Z3+ Bugdroid Circuit Case: The Cruzerlite Sony Xperia Z3+ Bugdroid Circuit Case features an unique design and is made from scratch resistant and shock absorbent TPU. 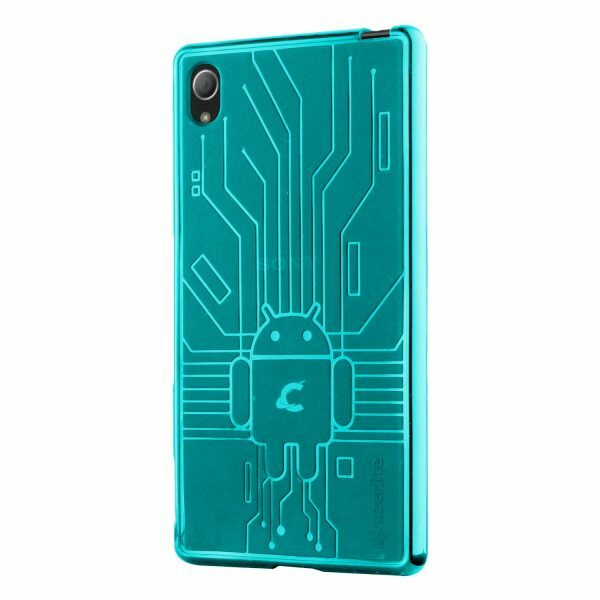 The Cruzerlite Sony Xperia Z3+ Bugdroid Circuit Case is available in 7 different colors. 4. Sony Style Cover Window SCR30 for Sony Xperia Z3+: The Sony Style Cover Window SCR30 for Sony Xperia Z3+ is an original Sony accessory. 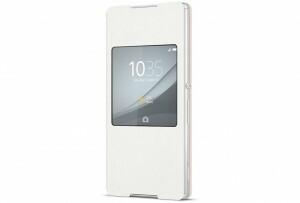 The Sony Style Cover Window SCR30 lets you access smartphone functions and view smartphone notifications without opening the cover. 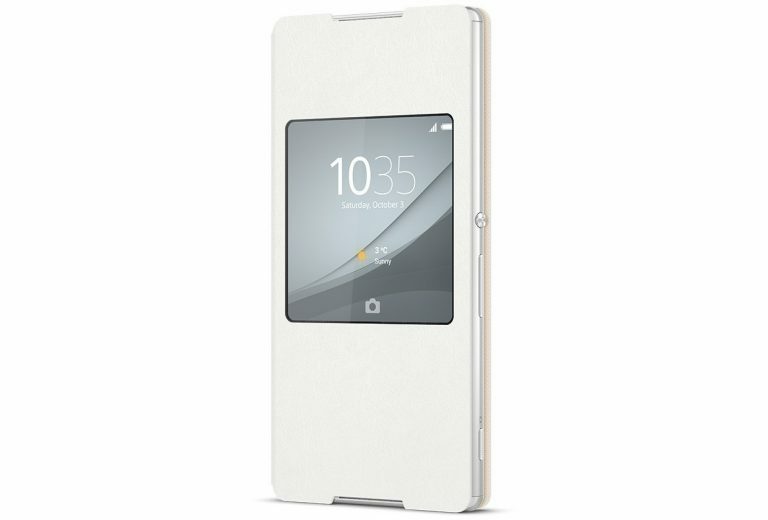 The Sony Style Cover Window SCR30 for Sony Xperia Z3+ is available in 4 colors. 5. Terrapin Sony Xperia Z3+ Executive Premium Wallet Case: The Terrapin Sony Xperia Z3+ Executive Premium Wallet Case is made from genuine leather and features card slots and a cash pocket. 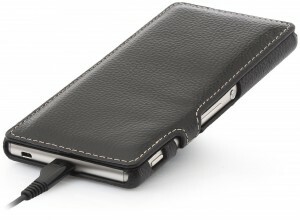 The Terrapin Sony Xperia Z3+ Executive Premium Wallet Case is available in 2 colors. 6. LK Sony Xperia Z3+ Hybrid Dual Layer Armor Defender Case: The LK Sony Xperia Z3+ Hybrid Dual Layer Armor Defender Case provides optimum protection to your device with its shock absorbing bumpers and anti-slip finish. The LK Sony Xperia Z3+ Hybrid Dual Layer Armor Defender Case is also very easy to install/remove. 7. Oeago Sony Xperia Z3+ Case: The Oeago Sony Xperia Z3+ Case provides good grip and the shocking absorbing bumpers protect your smartphone from drops, bumps and shocks. 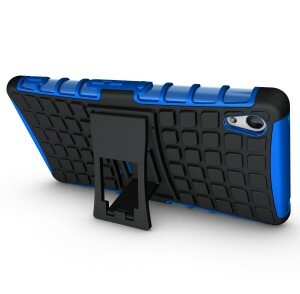 The case is also equipped with a kickstand for your convenience. 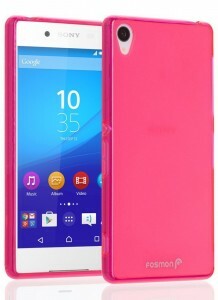 The Oeago Sony Xperia Z3+ Case is available in 7 different colors. 8. 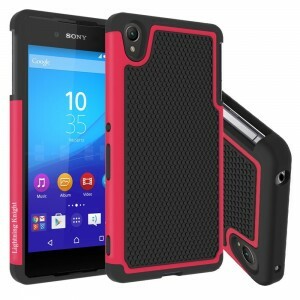 Fosmon Dura Frost Sony Xperia Z3+ Case: The Fosmon Dura Frost Sony Xperia Z3+ Case is ultra-slim, lightweight. The Fosmon Dura Frost Sony Xperia Z3+ Case also gets a matte finish and is available in 3 colors. These are the top 8 best Sony Xperia Z3+ cases and covers.